Other number 12300 Verso: Negative No. Black and white imagef close-up of ORACLE console. Shows readout lights, switches and small oscilliscope. 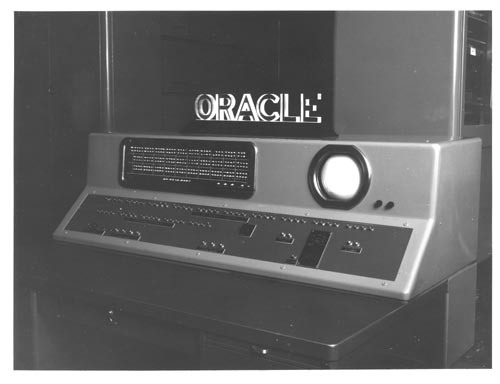 Large ORACLE sign on top of console.